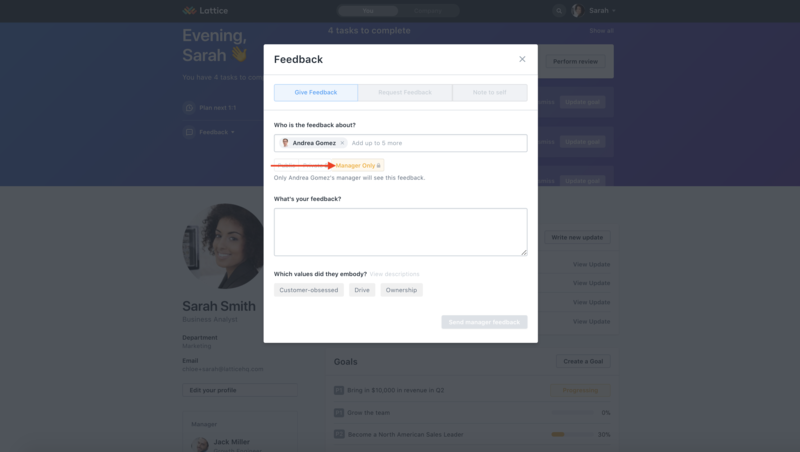 When giving feedback in Lattice, you have the ability to provide Manager Only feedback. This means that you are providing private feedback to an individual's manager that can only ever be seen in Lattice by that manager. To give Manager Only feedback, go into the Feedback tool and choose "Manager Only." Visibility: this feedback will be private and will go directly to that individual's manager in Lattice.